Langkawi Island is one of our favorite islands to visit in Southeast Asia. It is very easy to get to Langkawi from Kuala Lumpur. You only need to take a 40-minute flight from the Malaysian capital and you will get to enjoy a very laid back beach holiday. Langkawi what? You may not have heard about this island as it’s admittedly not as popular as Koh Phi Phi or Bali, but did you know that it’s one of the most accessible holiday spots in all of Malaysia? 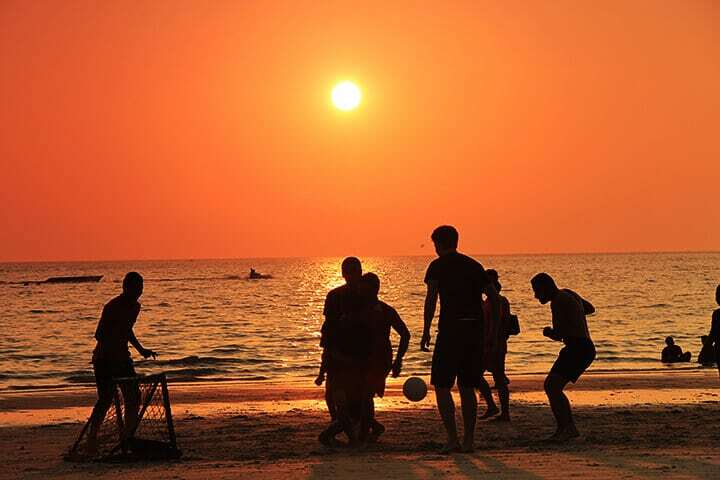 If you’re already in Kuala Lumpur and looking to exchange the busy metro life for some fun days on the beach; then we dare say that Langkawi Island is a perfect choice. 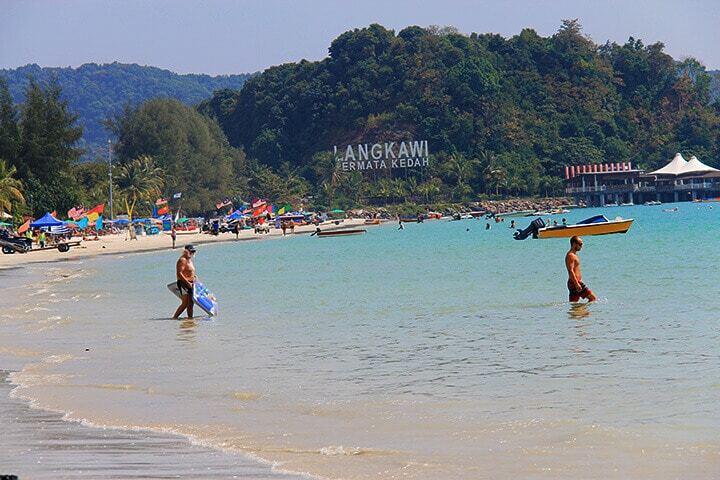 Why should you visit Langkawi? There are actually several reasons, and this list will discuss the most important ones. So are you ready? 9. Langkawi is just an hour flight from the Malaysian capital of Kuala Lumpur. As mentioned, Langkawi is very accessible from the Malaysia capital of Kuala Lumpur. You can easily spend a day or two on the island if you have one week to spare in Malaysia. 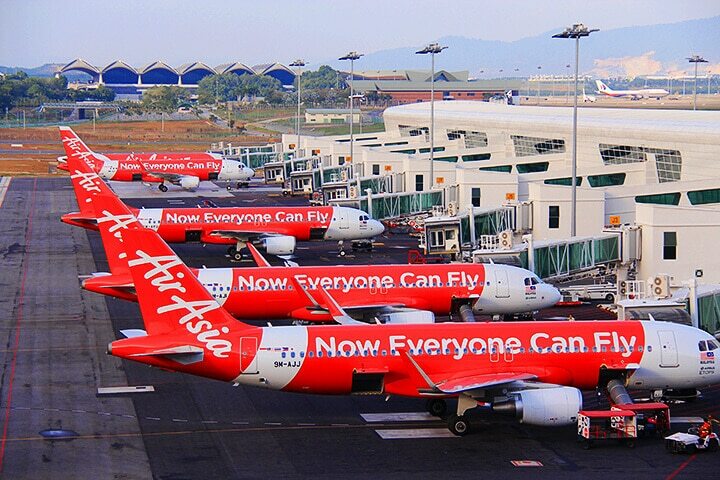 Fortunately, AirAsia schedules numerous daily flights from Kuala Lumpur to Langkawi and vice versa. You definitely won’t have a problem visiting Langkawi on any given day. You just need to spend approximately an hour (sometimes only 30 minutes!) in the air and you will be sitting on a beach in no time. Now that’s what we call convenience! Airasia flies to Langkawi every day. 8. Langkawi has a couple of nice beaches to choose from. 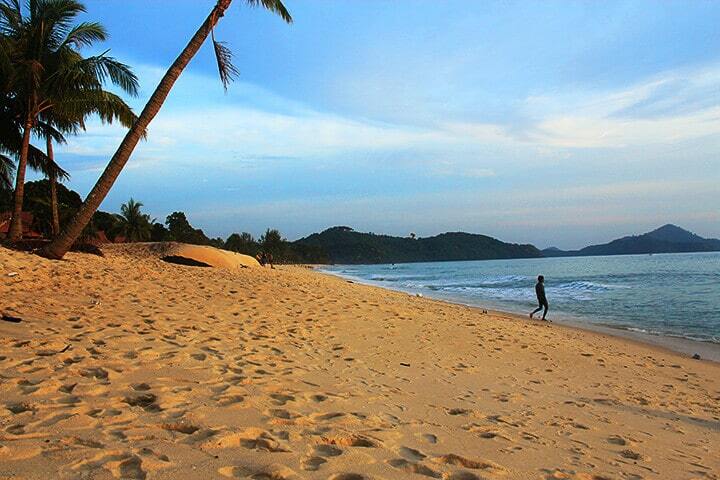 Langkawi has more than one nice beach to offer its visitors, so there’s no need to just settle on seeing one! The most popular and the busiest one is Cenang Beach (locally called Pantai Cenang). This beach area and the road adjacent to it has the greatest number of accommodation choices, bars, and restaurants. Aside from its size and powdery sand, Cenang’s popularity has something to do with its accessibility. It is conveniently only about a 10 to 15-minute drive from Langkawi International Airport. Cenang Beach or Pantai Cenang! Take note Cenang may be popular but it’s not necessary the most ideal beach for all visitors to Langkawi. During peak season, Cenang Beach is the most crowded, although the number of people here is not comparable to the number of tourists on the Thai islands. It also has a superb sunset!! Even if you don’t want to spend a lot of time on Cenang, we highly recommend that you come here during sunset at least once. Cenang Beach has one of the most dramatic sunsets in the region with purple and pink hues filling up the horizon. 7. There is no public transportation on Langkawi Island except for taxis. For a Southeast Asian island, Langkawi is big enough but unfortunately, the island does not have buses or train in operation. The only public transport available is taxis. Locals usually have their own car or motorcycles. To get from the Langkawi International Airport to your hotel in other parts of Langkawi, you will need to get a taxi. You can also arrange with your hotel to pick you up. 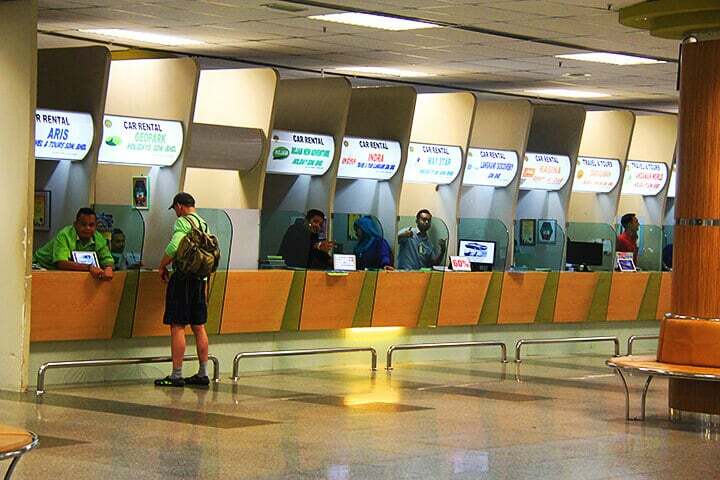 There are many companies offering car rentals at Langkawi Airport. 6. Langkawi is an ideal place to drive a car or motorcycle. This is very much related to list number 4. Langkawi taxi services don’t use the meter and charge a set price, which is usually higher than the rates in Kuala Lumpur. But don’t let this bit of information deter you from exploring the island, because it’s definitely still worth visiting. The most convenient and practical way to go around the island is to drive a rental car or motorcycle. Rental rates for cars and motorcycles on Langkawi Island are reasonable and relatively cheap. You can find car and motorcycle rental shops at the airport and also along the road adjacent to Cenang beach. You can also arrange the rental directly with your hotel. 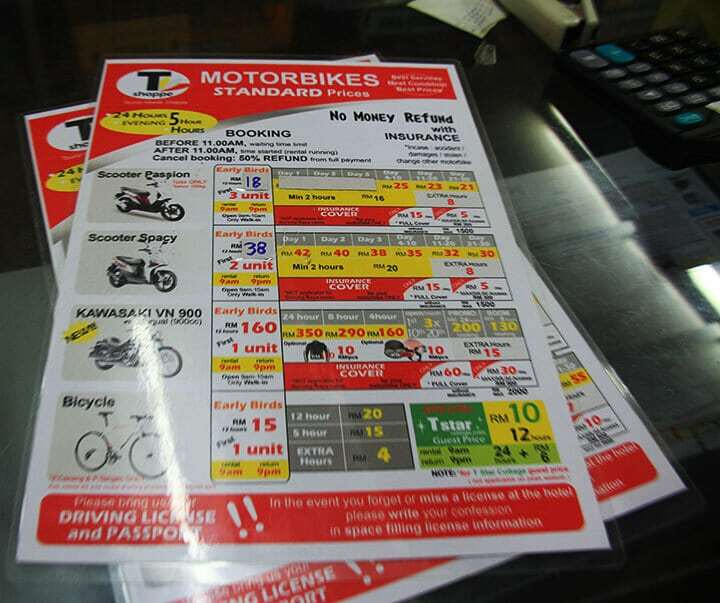 It is easy to rent motorbikes on Langkawi Island. The main requirement for rental aside from the fee and insurance cost is your driver’s license. And based on our experience, they do accept driver’s licenses from other countries. Is it safe to drive in Langkawi? Based on our travel experience, Langkawi is one of the safest Southeast Asian islands to drive a motorcycle on. The road network is wide and well-paved. The driving is very laid back and traffic is typically quite mild. The road section adjacent to Cenang Beach area is the busiest and this is especially true during sunset. You can drive as slow as you want in Langkawi and you will find even the locals are fairly relaxed driving. 5. The most beautiful beach on Langkawi Island is Tanjung Rhu. This may be a bold statement, but we stand by our word. Based on scenery, cleanliness, sand texture, and quality of water; Tanjung Rhu far exceeds the other beaches. 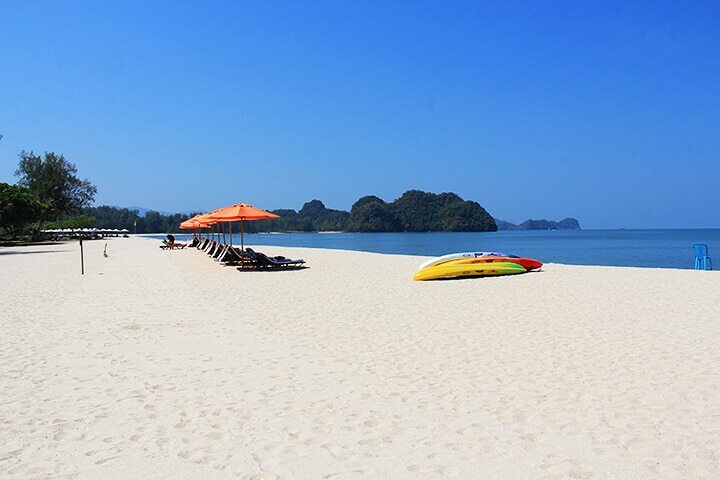 Tanjung Rhu has the finest white sand on the Langkawi well – complemented by nice water. It’s no wonder that this beach is actually part of a protected sanctuary. Even though Tanjung Rhu is classified as protected land, it is still open to the public, albeit it’s not open 24 hours. This beach is typically closed during major holidays. Tanjung Rhu is located on the northern remote tip of Langkawi Island. The most convenient way to access it is to drive your own car or motorcycle. You need to go through a security gate before accessing the best section of the beach. There is no entrance fee but you will need to sign a piece of paper for documentation. If you want to splurge on a relaxing holiday close to the most beautiful beach on Langkawi, then you may want to book a room at the fabulous 5-star Tanjung Rhu Resort. It is an excellent property that gets awesome reviews. 4. Langkawi is home to not one but TWO stunning waterfalls. 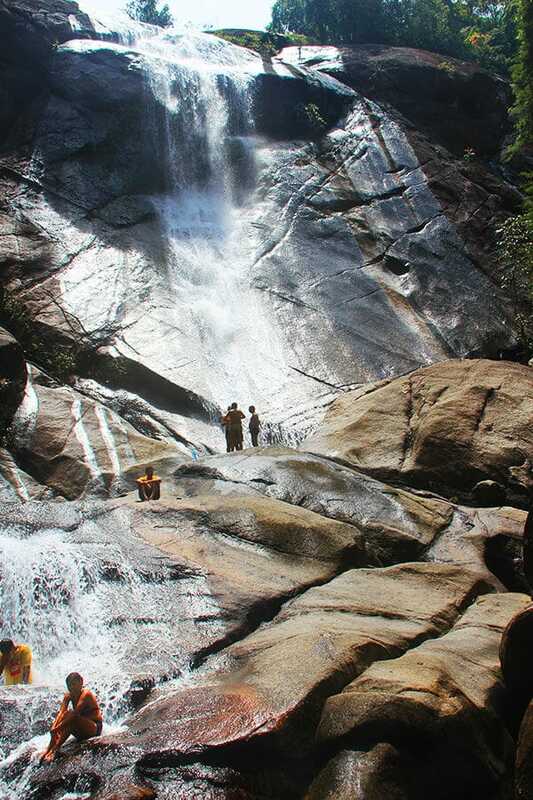 Aside from beaches, one of Langkawi’s must-see attractions is its waterfalls. There are two waterfalls on the island. Seven Wells is the more popular of the two, perhaps because it’s more accessible. Seven Wells has two sections, with the first set waterfalls being easily reached from the entrance. To get to the second set, you need to hike up about 10 minutes. Enjoying the beautiful Seven Wells Waterfall on Langkawi Island. Is the second section of Seven Wells worth going to? This is a definite yes – the second set of waterfalls is more impressive in looks, marked by little rock pools. It is also located higher up which means it has a panoramic view of Langkawi’s highly forested landscape. Seven Wells is close to other attractions such as the Oriental Village and Telaga Harbor. There is no public transportation to Seven Wells. You can drive your own vehicle or hire a taxi to take you there. There are road signs that will guide to the falls, and most hotels offer a map if you don’t have GPS. Temerun Waterfall is less popular. You will need a map to get to it but it’s not that hard to find. 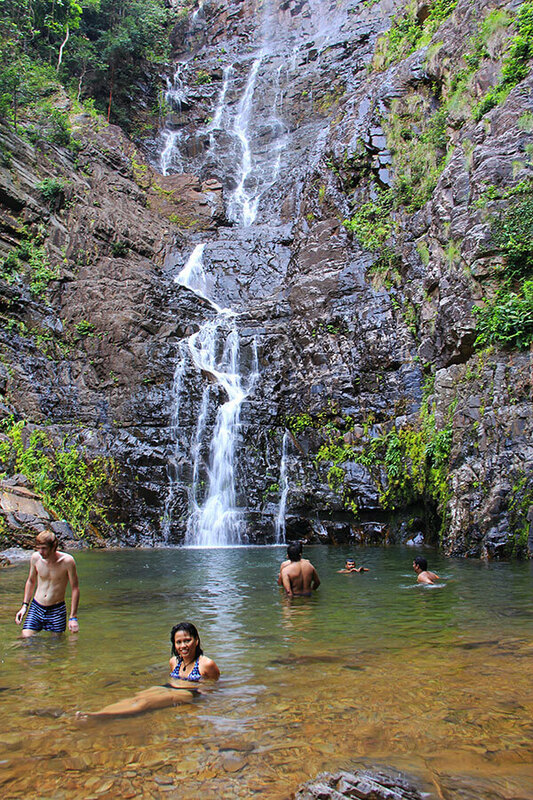 Surprisingly, when you do reach the entrance to the waterfalls from the main road, the hike is not that hard or long. After just a few minutes walking, you will get to the main section of Temerun. Temerun is especially impressive during the rainy season when there an abundant amount of water rushing down from the tall wall cliffs from above. The water is oftentimes cold but refreshing. 3. Langkawi has the longest free span and curved bridge in the world. Langkawi has full of surprises to its unknowing visitors. One of this delightful surprises is its very impressive suspension bridge on top of Machinchang Mountain. This pedestrian bridge is considered to be one of the most spectacular of its kind in the world. It hangs at around 100 meters above ground and can hold up to 250 people at one time. Skybridge Langkawi is truly unique designed to curve and hug Machinchang mountain, thus offering amazing views of Langkawi’s very green landscape. It is definitely one of the must-visit attractions in Langkawi (unless you have a fear of heights!) Getting to the Langkawi Skybridge is also thrilling as you need to ride a cable car service called SkyCab from Oriental Village to reach the entrance to the bridge. The views you will get from the SkyCab ride alone is spectacular. Tickets to the Langkawi Skybridge and SkyCab can be purchased at the ticketing booth located in the Oriental Village. You can also buy the tickets online. 2. Langkawi is a duty-free island. Load up on the booze and chocolate in Langkawi because this is one of the cheapest places to buy them in Malaysia! To encourage domestic and international tourists to visit, the island is authorized to sell duty free items. Aside from alcohol and chocolates, you can also get good deals on perfumes and colognes. But as for the rest of the products sold on the island (like bags, shoes etc. ), I found that there is little difference between the prices on Langkawi and the mainland. 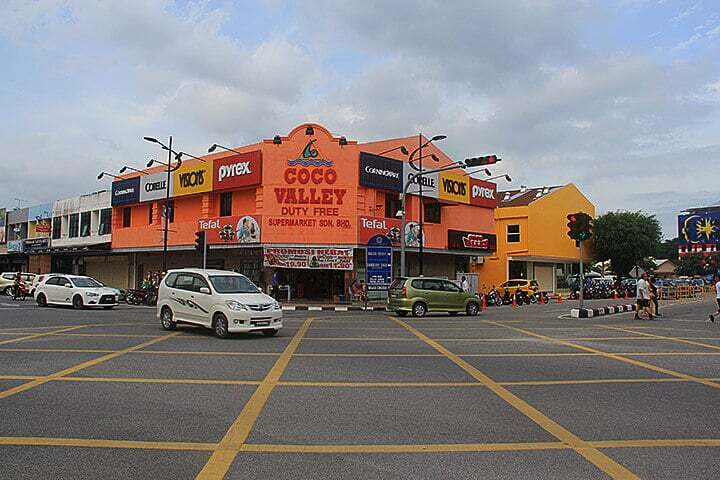 There are duty-free shops on the main road along Pantai Cenang, but the greatest number of duty free shops are located in the main town of Kuah. Kuah is on the southwestern part of Langkawi and you can easily drive there. Take note that if you intend to bring alcohol outside of Malaysia, you are still subject to the limit set by the customs of your destination country. However, if you’re just flying back to KL, you can bring two 1-liter bottles. Langkawi Island has a lot of duty-free shops. Most of which are located in the town of Kuah. Langkawi has many accommodation options but take note that the midrange hotels and villas on the island can be disappointing. There are many accommodation options on the island that are not well-maintained by international standards. There are even some that are rundown. We have stayed at various properties here. When booking accommodation on the island, choose very carefully! The room at a budget hotel on Langkawi Island. When choosing a hotel, it is so important to check the rating on Agoda or Booking.com before booking. Many international tourists tend to become disappointed with the upkeep of many mid-range hotels. As a rule, the newer the hotel, the better. It’s also worth shelling out a bit more cash to book a higher ranking resort to avoid disappointment. There you go, these are the 9 important things you need to know about Langkawi Island before you visit it. Langkawi may not be the best holiday island in Malaysia but it’s one of the best when it comes accessibility and convenience. The beaches are nice, the island is big enough to explore, and there are enough attractions and tourist infrastructure to make your stay action-packed if you want it to be. The travel time to get here is short and plane tickets are super cheap thanks to Air Asia. If you desire a break from the city life in Kuala Lumpur, Langkawi can easily be your next Malaysian holiday destination.